There are almost 40 various Video poker editions for video poker enthusiasts to choose from, including Jacks or Better, Deuces Wild, All-American Poker, Joker Poker, Tens or Better, Double Joker, Bonus Deuces, All Aces, and more. Apart from the casino’s vast collection, there are such different options such as bingo, keno games, and other specialties. Players from such countries such as Australia, China, Denmark, Greece, France, Ireland, Italy, Portugal, Spain, Netherlands, Thailand, Czech Republic, Poland, Hungarian, Thailand or the United States, among others, are not allowed to register with SuperLenny Casino. SuperLenny Casino offers many three-reel classic slots as well, for example, the Jackpot 6000 slot and different progressive slots. You will find the “Live Tables” section of SuperLenny Casino exciting with all sorts of live table games. Available at all times, these open tables games offers Live Blackjack, Live Baccarat, Live Roulette, Live Casino Hold’em, and Auto Roulette. The live dealer room remains a favourite for any table game lover due to its professional gaming environment, the interactive features, and the friendly dealers. As a mobile casino, there is unlimited access to an appreciable assortment of games on mobile devices. 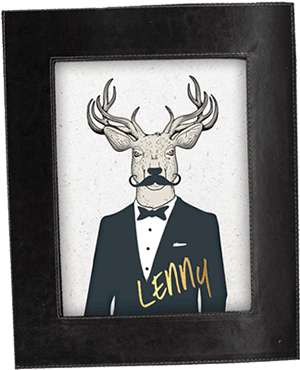 With SuperLenny Casino, Customer service has never been any easier. The “Live Chat” button is always available 24/7, and even supports attachments. Alternatively, Super Casino can be reached via its international UK-based number, or by sending an email. The multilingual SuperLenny Casino customer service can offer assistance in Swedish, English, Finnish, and Norwegian. SuperLenny Casino games utilize genuinely fair random number generators, having been audited for fairness by a top independent testing firm – eCogra.